Todays crafts are based on the second plague on Egypt, the plague of frogs. Cut out all of the pieces leaving a white border around each piece. 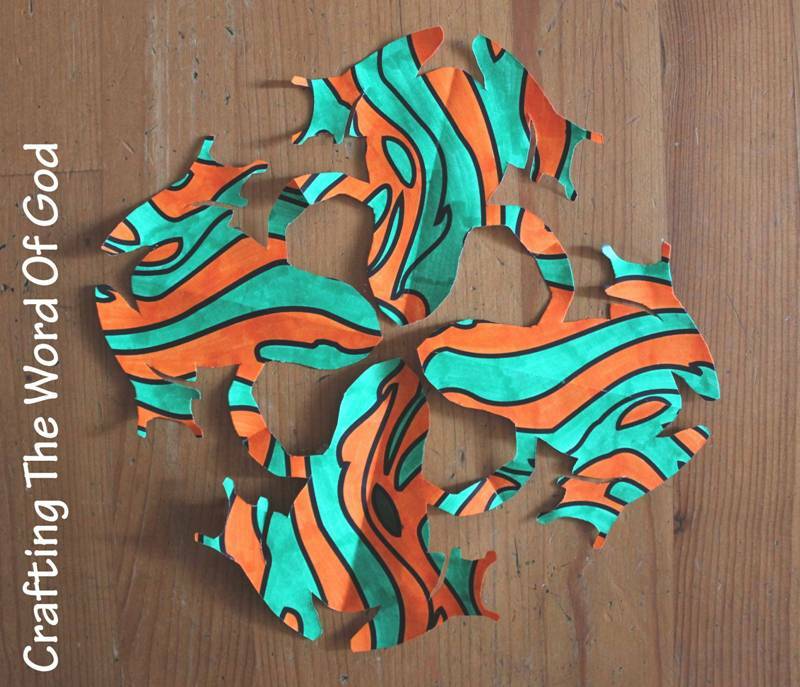 Glue each piece to another sheet of cardstock. This will give the mask structure. Now cut out all of the pieces again without leaving any white border, including the mouth. Glue the small circle to the center of the larger circle. 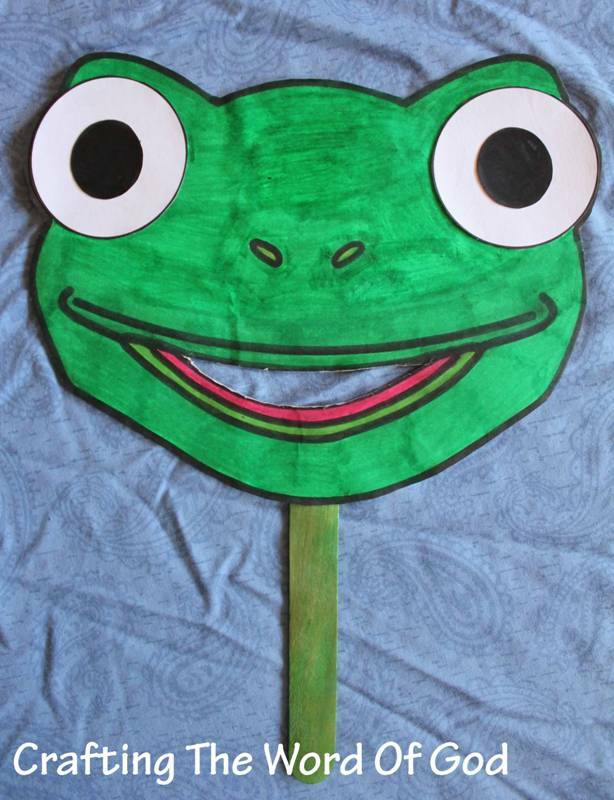 Glue the finished eye pieces to the frog face and finally glue on the large popsicle stick. Fold the tongue along the creases into a fan fold. Glue the tongue to the mouth of the frog. Fan fold each of the legs. Finally glue the legs to the frogs body. You can also hang this frog from the wall and the legs will dangle. Cover your walls and windows with these cute cut outs. Color the side with the pattern. 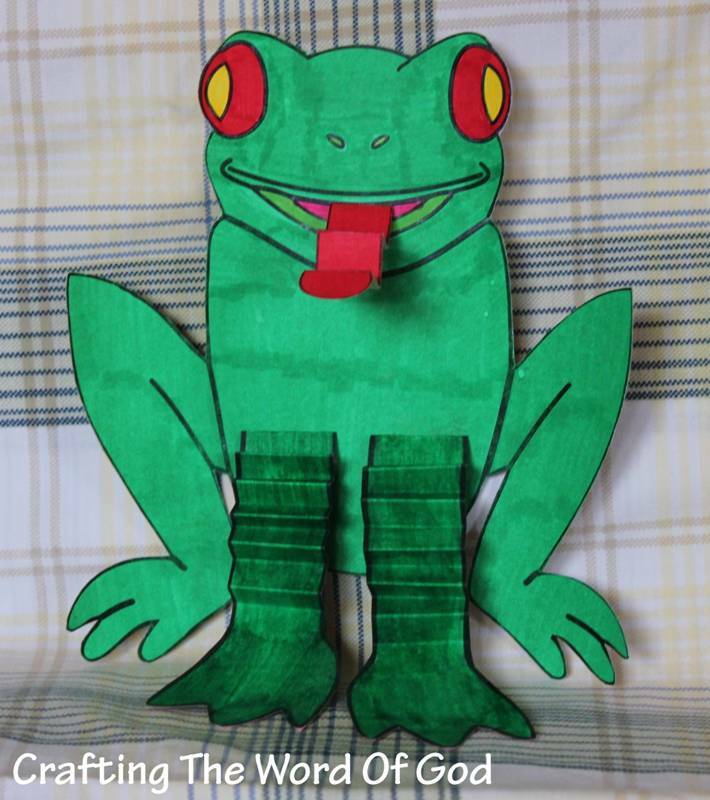 In case you are making a simple frog, color in the blank side with whatever design or pattern you wish. Cut out the rectangle with the frog pattern on it. Fold along the dashed lines. First in half creating a rectangle, then half again to make a square, and finally again to make a triangle. 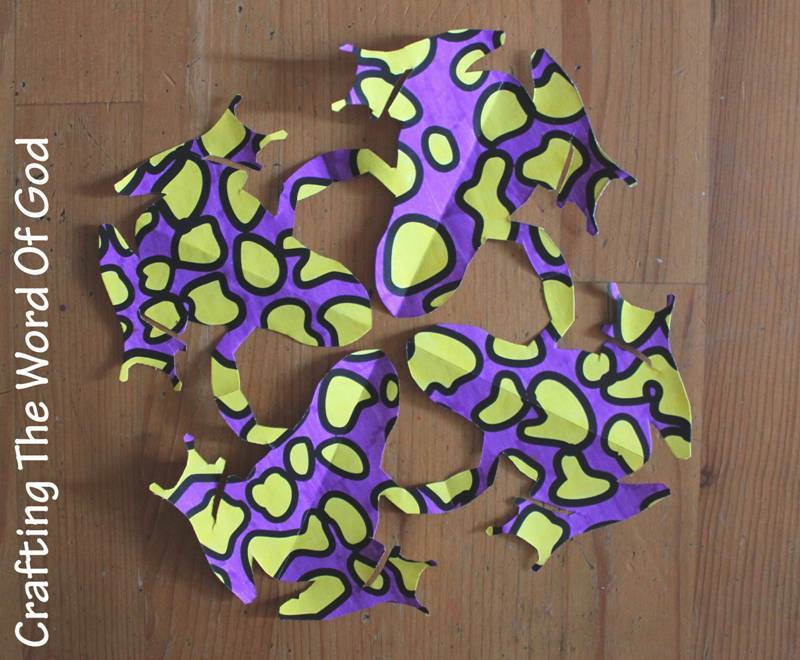 Cut out the empty space around the frog pattern. Open the folds up and you will have four frogs. 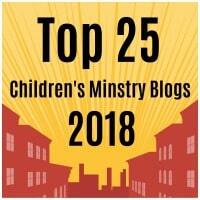 This entry was posted in Bible Crafts, Moses, OT Crafts and tagged 10 plagues, bible crafts, craft, crafts, Egypt, frog, frogs, Moses, plague, plague of frogs, ten plagues.